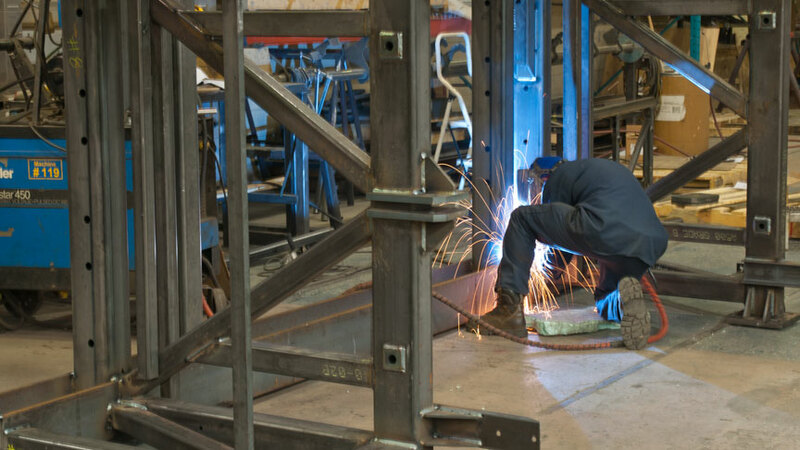 MIG Welding | Desmarais & Gagné inc.
MIG welding is required for any application where material contributions are necessary to obtain solid and resistant welds. This type of weld is currently used in the assembly of parts up to 0.035 to 1.25 inches in material thickness. In this case, the resulting weld is more apparent than any other welding technique. Desmarais & Gagne inc. acquired new state-of-the-art welders in 2018, allowing them to further refine the precision of their work as well as improve production capacity. Compared to TIG welding, MIG welding is a faster process with equivalent resistance. We offer two types of processes for MIG and TIG welding, manual for low volume and robotized for large productions.